Back in 2017, Onetwocosmetics dropped the latest beauty innovation - magnetic eyelashes. And the beauty world were here for it. No, in fact, they went crazy for it; willing to splash out $69 pound for a pair, to be precise. However, your girl here’s not made of money - sadly. So subsequently, I’ll be testing another popular brand’s (Ardell) more budget friendly alternative. Caving in at £13.99, say you wore these lashes everyday for a month, they would add up to approximately £0.45 a day, a whopping £5.55 cheaper than your standard (one time use) £6 lashes (which would cost £186 to wear everyday for a month). Or is all this just a little too good to be true? I'm just going get straight to the point here. These. Were. A. Nightmare. To. Apply. Yeah, these falsies weren't quite as 'simply effortless' to apply as Boots suggested. However, once you've got the technique down to a T (which took about a day) they apply LIKE A DREAM!!! These lashes DO NOT BUDGE!!! (my eyes even began to well up at one point but"nuh-uh! ", these weren't moving anywhere. After the third day of trial and error (not tryin'a brag) but I became a proper pro at the application! So, if you're concerned about the application, it becomes super easy! 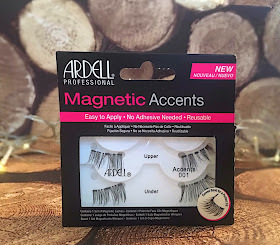 It doesn't feel as though you've got magnetic fields chillin' on the surface of your lash line - in fact, I often forgot I was even wearing them! How They Look/ Worth it? Willing to cope with all the faff in the first 24 hours of finding the technique? Then these are 1000,000,000% worth it! They are brilliant for accentuating the outer corners of your lashes and achieving a natural, fluttery look. Obsessed. Have you tried magnetic lashes? Thanks for sharing! I have never heard of these and will have to try them someday! Glad to hear, Hanks for reading! I've heard a couple of things about magnetic eyelashes and thought they sounded so difficult to apply. 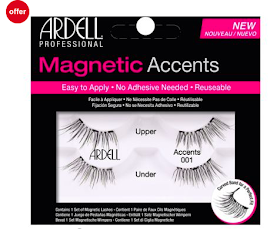 I had no idea Ardell did some. I neeeeed to get some. Lovely post! © Lily Loves | All rights reserved.